Was Husain Abdullah penalized for the slide or for the prostration? Following Chiefs safety Husain Abdullah’s pick-six, he went to the ground and prostrated. Abdullah is a devout Muslim and many know that such actions are common with the religion. However, he was given a penalty flagged for unsportsmanlike conduct — mainly for going to the ground in celebration. Naturally, there was a negative reaction to this, with people claiming that someone shouldn’t be flagged for praying. But first, let’s look at the rule in Section 3. Article 1. Line D.
Here are 10 thoughts after watching the Week 4 games from Sunday. 1– You want some blood and guts? Don’t get on Steve Smith’s bad side. Even though he tried to downplay this game, we all knew that the first game against his old team was going to be a big deal for him. And it was. Just take a look at this big play. Lucky? Sure. But he was aware and caught it and scored. The Panthers had no chance and it appears that the team has lost some of its swagger from last year. The Panthers defense isn’t as strong as I thought and the lack of strong offensive weapons is hurting them bad. Smith on the other hand has been a fantastic addition to the Ravens and the team has a gem in him. He may be 35 but he’s playing a huge role for the offense. I think Justin Forsett is finding more opportunities to run the ball and that may very well mean the end of Bernard Pierce’s time as the starter. Unless coach Harbaugh flips it around, look for this Ravens offense to stick with Forsett as the the top back going forward. I knew this was coming. I didn’t want it to happen. But here we are. 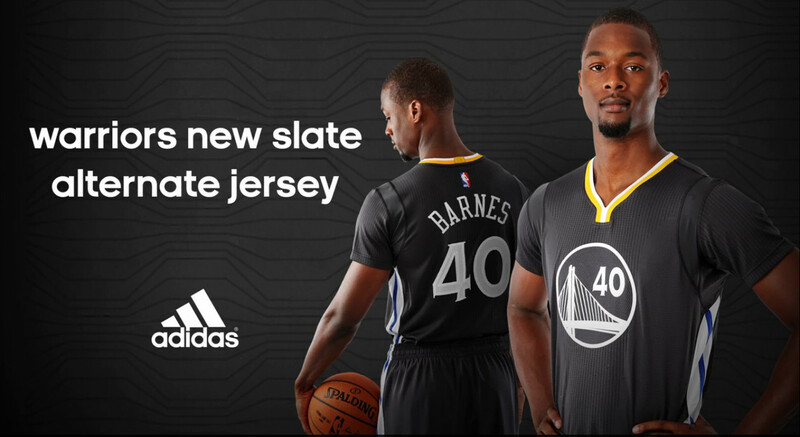 The NBA and Adidas, for the third straight season, have given the Warriors a new alternate uniform to wear. This one was expected as the team’s style guide revealed several of their logos recolored in slate gray. It was an indication that a new uniform would be on its way. 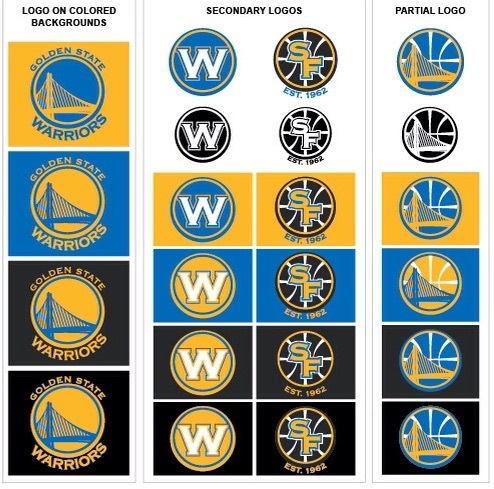 The initial reaction is “why?” The Warriors have vibrant colors of royal and gold. It’s a great identity and to murk it up with gray doesn’t work for me. It’s drab and doesn’t match their current identity. I don’t know if they are trying to look like the Nets but calling these the #WarriorsSlate in an attempt to make it like some secret spy uniform is pretty silly. Slate gray is just not working for me. Check out more photos of the new set. This is basically like the Kings jerseys. This is underwhelming and the balance of black and blue isn’t all that great. I actually don’t think this third set is strong at all. Even this fake one is better. Here are more pictures from the team site. Black and blue? Reminds me of this. This didn’t happen. I photoshopped it. It was an idea that popped into my head during Derek Jeter’s last home game. There were discussions of how Jeter had a double that helped start the rally to tie the game at 2-2 in the first inning. 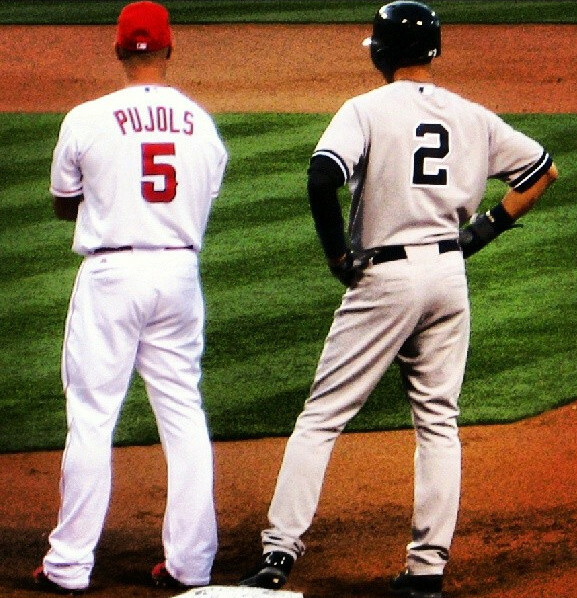 The constant talking about his number and the hashtag #RE2PECT gave me an idea. So I awaited the top of the second inning and looked at the pitch count. Then I awaited for the actual possibility of the influx of 2s to appear. It never happened. But I wanted it to happen. 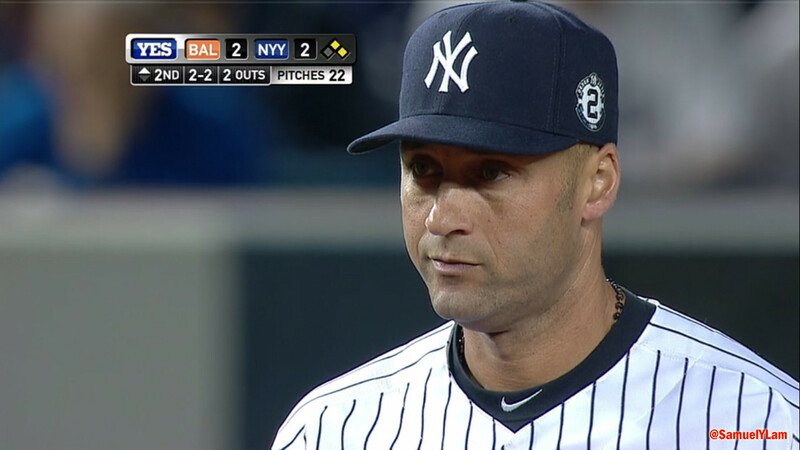 With all this talk of 2s and how everyone is praising Jeter for all the wrong reasons, I opened up my Photoshop, grabbed some screenshots from the game, then just made it myself. I didn’t think much of it. It was a joke. I was so sure that people watching the game would notice that it was fake since the Orioles didn’t get two runners on base in the top of the second inning. But of course, in this day and age of the Internet, people will jump to anything. And look at all those retweets and favorites. That’s a lot! Sorry if I deceived you. Sorry folks, this didn’t really happen. Earlier, I shared my joys about Derek Jeter. He’s been a consistently good player for most of his career. His final years haven’t been all that, but overall, he’s been a staple in Yankees baseball. I hate the Yankees, but he’s one of few players that I don’t hate. I like him. He’s good for baseball. Since I live in Southern California, I even made it out to his final game in Anaheim just so I can see him one last time. I wanted to see him play one last time. I even snapped this Hall of Fame photo. I enjoy watching him play. With that being said, the love-fest he’s gotten all season long is too much. Do we need all this? Do we need everyone showering him with all this love and gifts and ceremonies? The excessive force-feeding of merchandise? Yes, he deserves great praise. But this is going overboard. Jeter was never among the greatest player of his generation. He never won MVP, never won a batting title. He rarely was ever the top guy in any major statistical categories. He was good and has had memorable postseason moments, but hanging on to those clutch postseason games does not define a two-decade career.